The Russell 2000 (NYSEARCA:IWM) added nearly 2% as buyers swooped in to take advantage of recent quiet action. This follow on to the recent breakout sits the index up nicely for further gains. 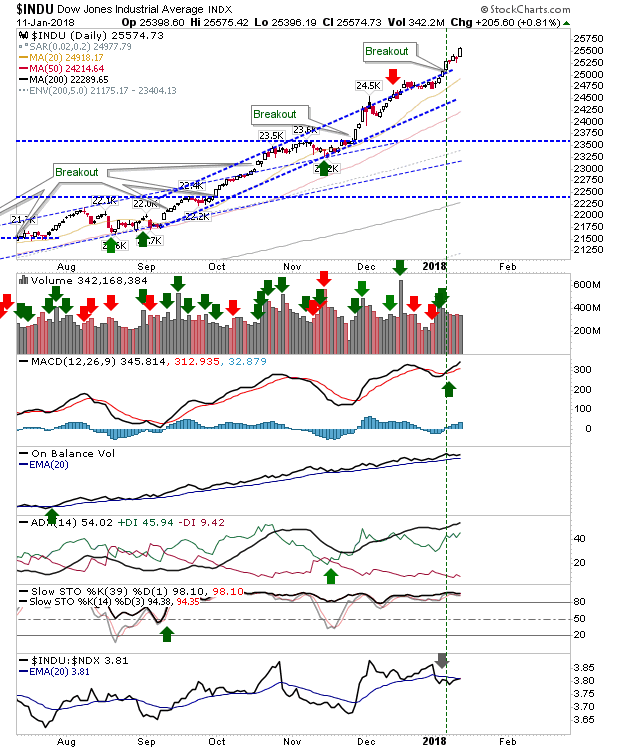 The pick up in pace for the rally is probably most noticeable in the Dow(NYSEARCA:DIA). The mid-December tag of channel resistance (which was a ‘sell’ / shorting opportunity) is looking very distant now. 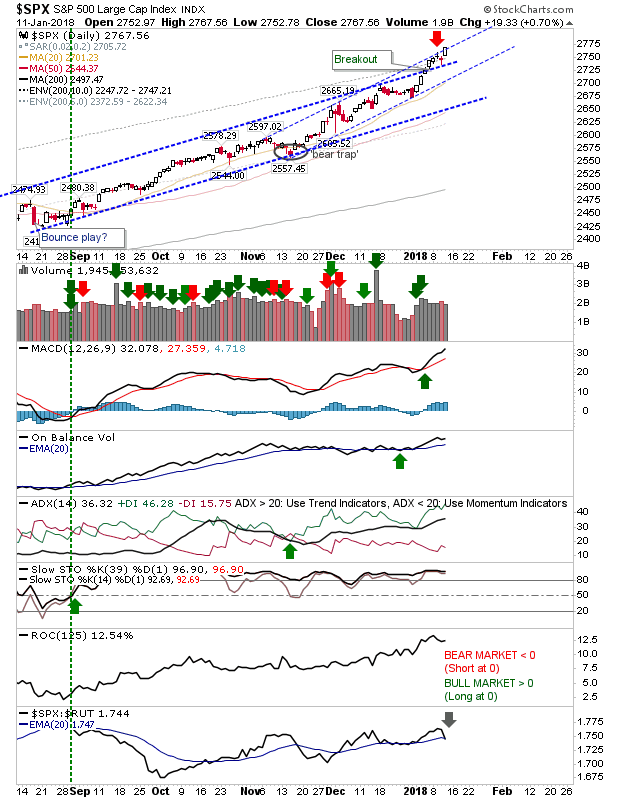 A similar acceleration is taking place in the S&P (NYSEARCA:SPY)although there is a new channel resistance hit for sellers/shorts to cling on too. The sharp drop in relative performance against the Russell 2000 may further signify a shift in money rotation back towards more speculative stocks (and away from the S&P). 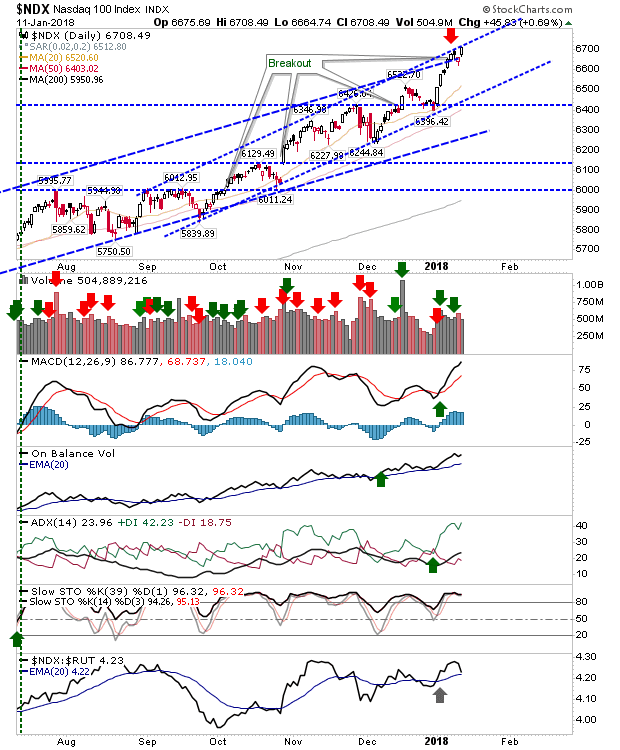 The Nasdaq (NYSEARCA:QQQ)looks to be following the lead of Large Caps as it steps outside of its current channel in yet another shift in acceleration. The index still enjoys good technical strength support so sellers/shorts haven’t much to work with. 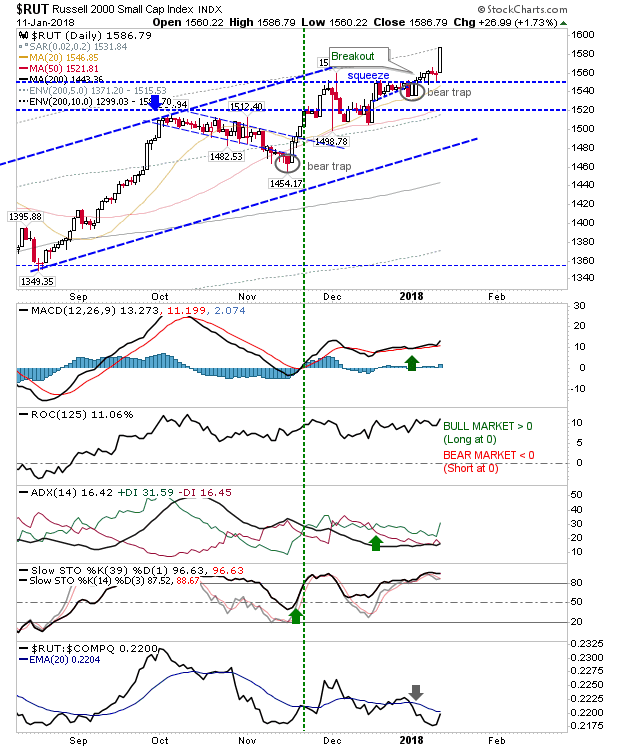 For tomorrow, continue to monitor index activity at channel resistance. 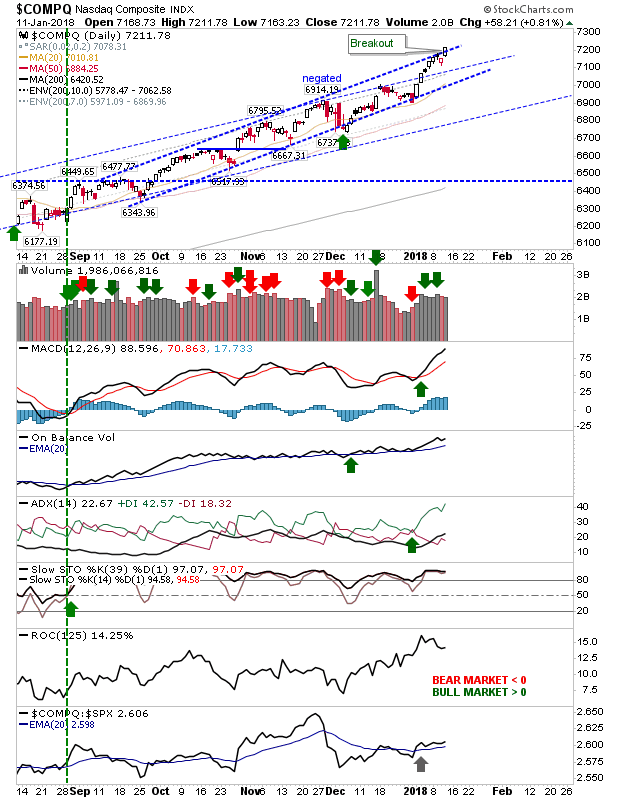 Any selling which returns an index below channel resistance leaves it open to a potent ‘bull trap’ and could be a decent – if aggressive – shorting opportunity.